Located within the greater Sonoma County, the Russian River Valley appellation has long been synonymous with elegant pinot noir and chardonnay. While it is high on the list of places to visit for wine lovers, this beautiful region — with its redwoods, outdoor adventures, and luxury accommodations — also draws those looking for a well-rounded Wine Country experience. Here’s all you need to know about the Russian River Valley. The region can trace its roots back to 1876, where nearly 7,000 acres of vineyards graced what is now known as Russian River Valley. Just a few years later, wineries such as Korbel Champagne Cellars and the now acquired Martini & Prati Winery set down roots. Though Prohibition wreaked havoc on the burgeoning industry, the 1960s and 1970s saw a boom of boutique producers with names that are still synonymous with today’s artfully crafted and terroir-driven wines. In 1983, the Russian River AVA was officially established, and has earned recognition as a world-class wine region ever since. 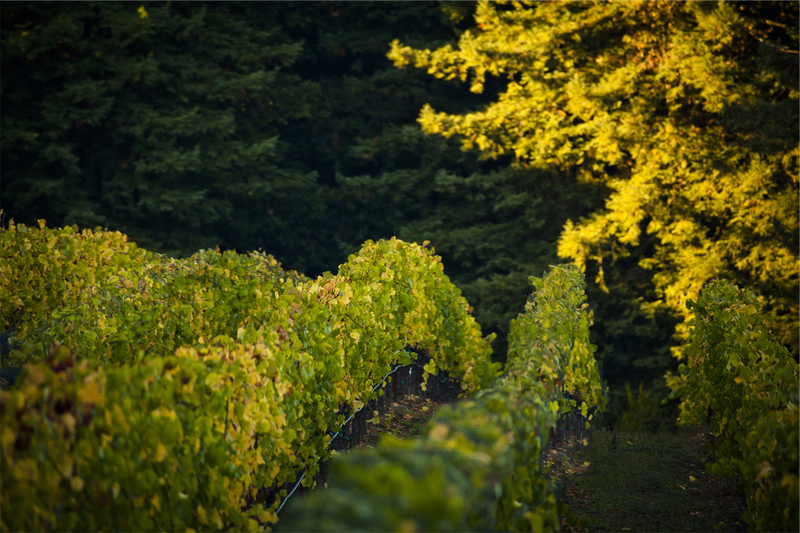 Pinot noir and chardonnay dominate the plantings here, but it’s not uncommon to find old vine zinfandel and sauvignon blanc, as well as offbeat grapes such as alicante bouschet, planted in the region’s sandy loam soils. Roughly 15 miles wide and 15 miles tall, and just a few miles from the Pacific Ocean, fog plays a major factor in the climate here, keeping temperatures cool but not too cold, which allows for great acidity to develop in the wines. Innovations in sustainability have given Russian River Valley producers prominence in the winemaking world. DeLoach Vineyards, which received their organic certification from California Certified Organic Farmers in 2008, produces a range of single-vineyard designate pinot noir bottlings, some only available to taste at the winery. Shortly after receiving organic certification, they began converting their vineyards and garden to biodynamic farming, and in December 2009, became DEMETER certified — one of the few DEMETER-certified vineyards in the country. 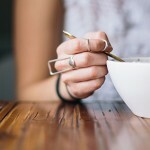 Their biodynamic methods pay respect to nature’s cycles and ensure a flourishing ecosystem. A few miles away, Moshin Vineyards makes estate wines in their gravity-flow winery, one of the first in California. Winemaker Rick Moshin uses this natural force to handle the grapes as little as possible throughout the winemaking process. Gravity flow requires less power than other methods, thus conserving energy. Female winemakers also figure prominently in the Russian River community. Although she’s a native of Napa Valley, Kathleen Inman chose Russian River Valley as her home base for her Inman Family Wines. Making wine in what she calls an “eco-ethics” manner, she follows a natural winemaking philosophy for her pinot noir, chardonnay, and pinot gris, which can be tasted by appointment at the winery. Revered oenologist Helen Turley brought fame to Landmark Vineyards‘ chardonnays in the mid 1990s, setting a benchmark for this popular grape. There are two tasting rooms: one in Kenwood in Sonoma Valley and another in the bustling Russian River Valley town of Healdsburg, both offering wine tasting and picnic facilities. Known for their sparkling wines, J Vineyards and Winery‘s female winemaker, Nicole Hitchcock, produces her cuvées in the traditional method found in Champagne. Book a tasting in the estate’s Bubble Room, which pairs Hitchcock’s sparkling creations with food from Chef Carl Shelton, who worked at three Michelin-starred The Restaurant at Meadowood before joining the winery. 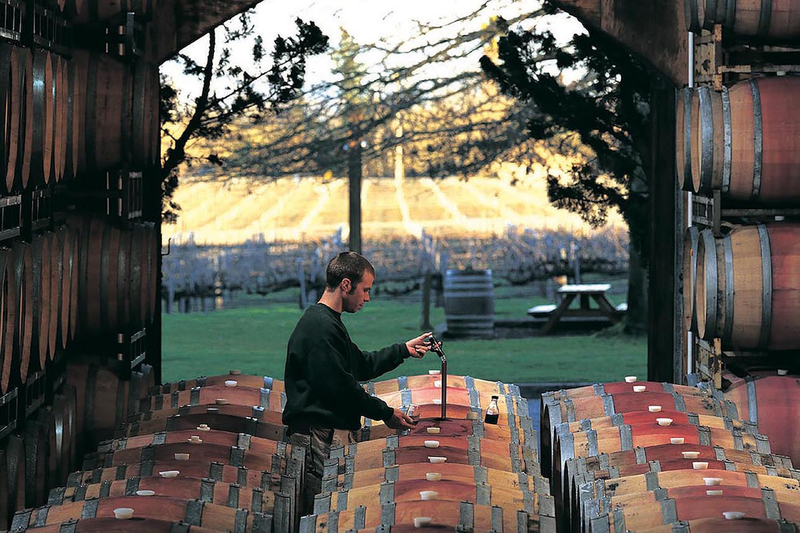 Hospitality has always been central to Russian River Valley. 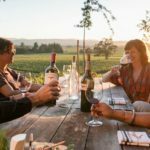 At La Crema Estate at Saralee’s Vineyard, a renovated historic barn is the heart of the estate, where guests can explore La Crema’s chardonnay, pinot noir, and pinot gris through tasting flights or a picnic experience. For fans looking to get a peek of future vintages, the winery also offers barrel tastings of unreleased wines. Along with vineyard tours and tasting flights, visitors can reserve a croquet lawn at Sonoma-Cutrer and perfect their swing with lessons with a pro, or make a day of it with an enhanced Chardonnay and Croquet Experience. And Kistler Vineyards‘ homey yet sleek Trenton Roadhouse is an ideal setting for tasting through the winery’s range of single-vineyard chardonnay and pinot noir wines. For a true escape, visitors will want to turn off the cell phones and give their senses over to Farmhouse Inn. The on-site restaurant’s menu is comprised of fresh ingredients prepared in a way that allows them to shine. After dinner, guests will want to head to the lobby to gather up all the essentials for s’mores, which can be enjoyed at the outdoor firepit. To truly escape, a service at the spa, which offers an array of relaxing and pampering treatments, is a must. 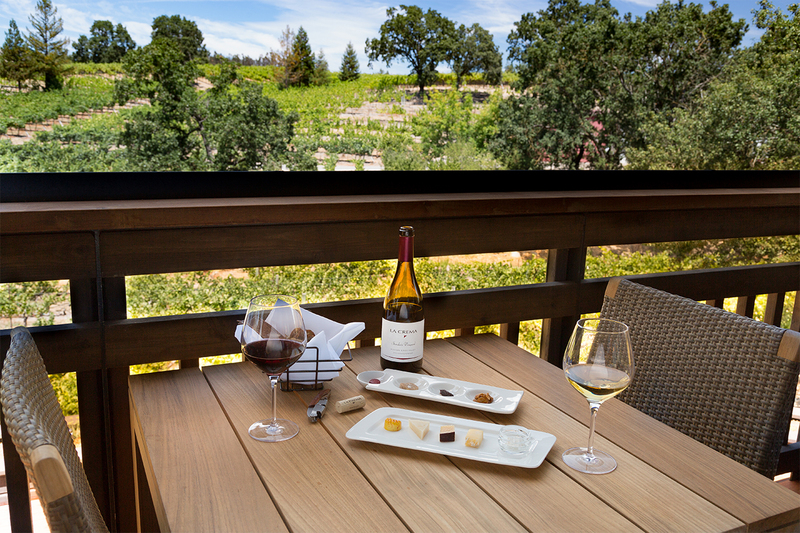 Alternately, Vintners Inn in Santa Rosa appeals to those seeking a romantic end to their day of wine tasting. Rooms overlook vineyards or the courtyard and feature in-room fireplaces, which beckon for a glass of wine before bed. 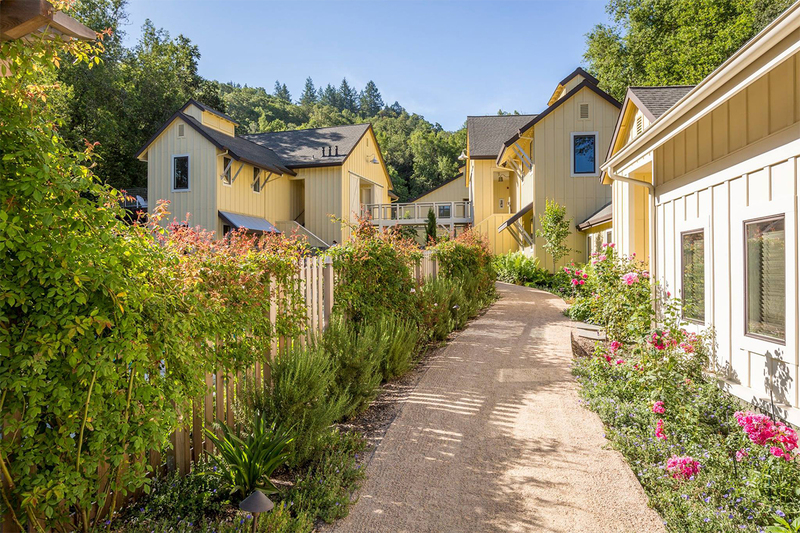 For a more family-friendly, laid-back option, Russian River Vacation Homes offer a number of rentals located throughout the Russian River Valley, ranging from coastal properties to redwood forest options. Not only is the Russian River appellation home to fantastic wineries, it also offers plenty of opportunities for appreciating nature. 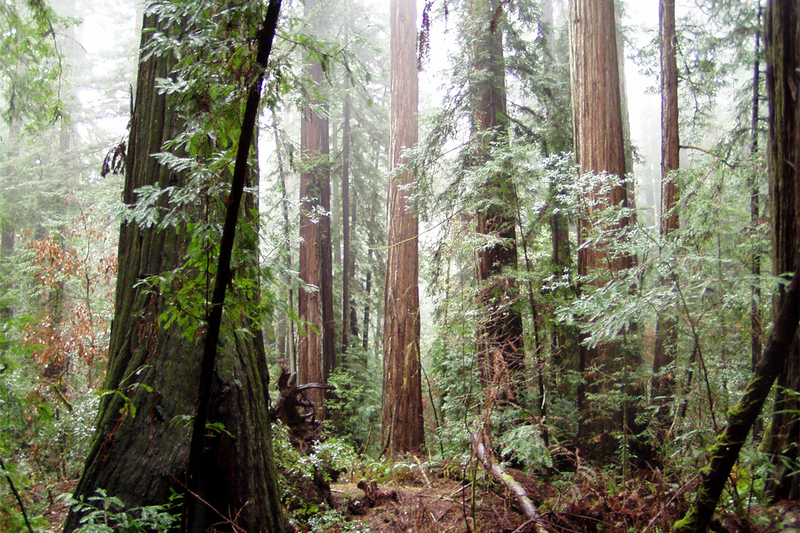 The 805-acre Armstrong Redwoods State Natural Reserve, located two miles outside of Guerneville, is revered for the impossibly tall, thousand-year-old trees. Hiking trails abound, but the 1,200 seat amphitheater is ideal for simply meditating. For something more adventurous, the Taste, Paddle, and Pedal Tour takes you through the Valley via bike and kayak. The touring segments are interspersed with winery visits and includes a picnic lunch. For a palate refresh, stop by one of the area’s numerous breweries, such as Russian River Brewing Company, which has a new second location in Windsor. What started as a side hustle in the cellars of Korbel has turned into one of the country’s most recognizable names in beer. Refined cuisine in a laid-back atmosphere defines the dining scene in Russian River Valley. Backyard restaurant in Forestville works with local farms to highlight the region’s produce, but are also renowned for their fried chicken. 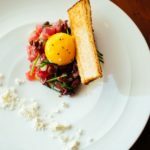 Alternately, the three Michelin Star SingleThread in Healdsburg combines California ingredients with Japanese techniques honed during the owners’ time in Japan. 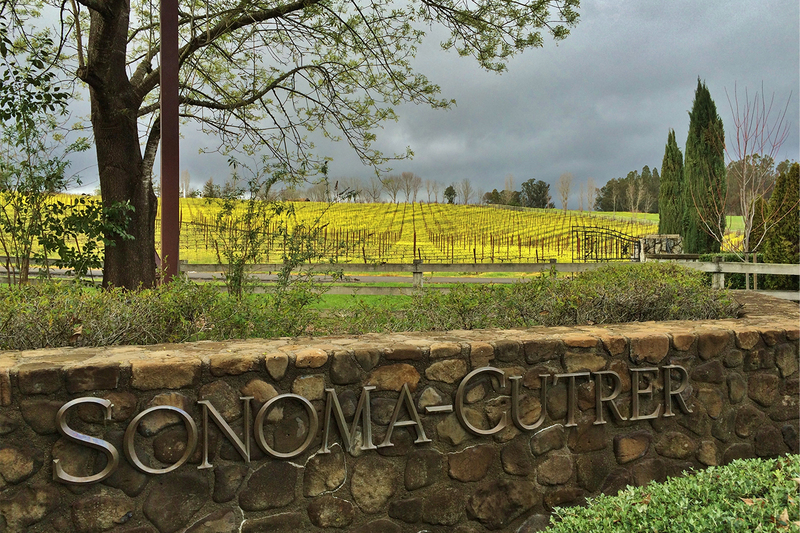 One could spend days traversing Russian River Valley and tasting through the appellation’s fine wine offerings. Coupled with the natural beauty of the region and pampering at many of the area’s resorts, Russian River Valley should be top of mind for anyone seeking a fun getaway in Wine Country.